For use with modern lightweight, high strength belting. Designed to operate smoothly over slider bed or troughing conveyor applications. 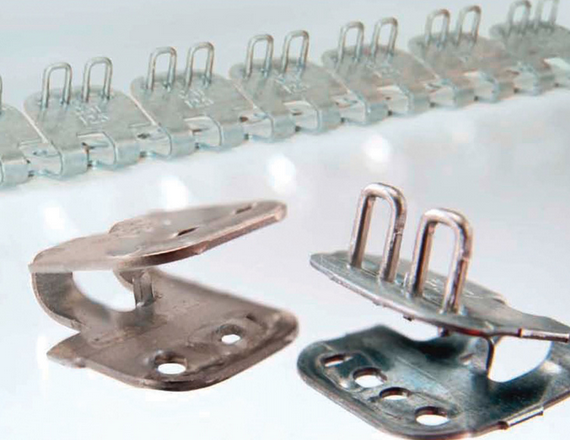 Staple Grip is a very strong belt fastener; hinged plates are held in compression with high-tensile stainless steel staples. A unique feature of this product, compared to conventional lightweight belt fasteners, is that the staples are clinched 90 degrees to the direction of the pull of the belt. Therefore, it is virtually impossible for the staple to open under load.